Carrara White 2" Hexagon Polished. 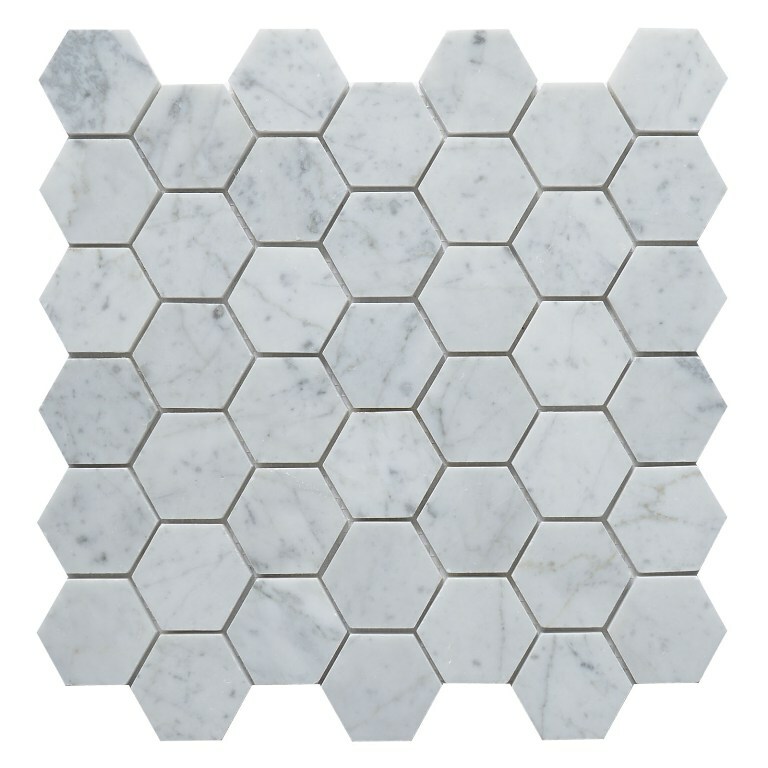 SOLD BY BOX OF 10 TILES / 10 SQ FT.
With a generous 42 Hex per mesh-mounted sheet, Carrara White marble mosaic has 2-inch hexagon tiles. Imported from Italy, the honeycombed pattern is a modern take on classic white marble while the gray veining adds additional character. Recommended for a variety of residential and commercial use, this natural tile complements and blends with any style. Beautiful polished carrara marble tiles! We used them in our small bathroom and it looks fabulous. Since this is natural stone the coloring may vary across sheets, but once it was grouted the sheets blended well. Love it. Beautiful tile! Great price. Excellent shipping. Would highly recommend.